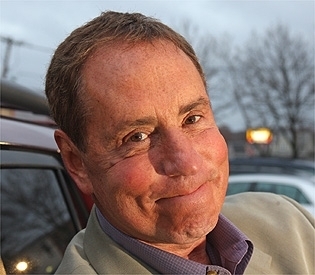 Suite Sports: Bob Lobel: Can You Hear Me Now, Big Papi? Bob Lobel: Can You Hear Me Now, Big Papi? I have a couple of observations you may not like to hear. Number one, you can now actually talk to phones, at least the smart ones. Or, if you prefer traditional dialing, simple finger pressure usually gets the job done. Excessive pressure, like that generated by a baseball bat, is counter productive. Usually, that results in a wrong number. That number is preceded by a $ sign. The other issue resulting from texting while swinging is the party to whom you're trying to get attention from, aka the umpire! He will interpret your call as abusive and will report you to the other members of his craft. This, no doubt, will result in across the board retribution, meaning more balls will be strikes and so on and so forth. Part of the code of conduct at Fenway includes telephone misuse. Fortunately for you this was in Baltimore, where there is no code of conduct. The whole sordid affair was exacerbated by the painful Amica pitch zone, which apparently has its own area code (it happens to be a secret). As in any phone plan, there is a record of its use. This one, of course, came with its own video, and will be used as a demonstration training tape for future generations of smart phone users (in this case, I'm sorry to say, only the phone was smart). Moving onto other issues as we approach Major League Baseball's trade deadline. Let's agree that Ellsbury is here for at lease two more months. After that the Red Sox uniform may take him as far as October, but all bets, just like the uniform, are off after that. The theory is “ride him hard and put him up wet," and take your chances. With the Patriots back at practice, it's difficult to predict how much of a distraction their former teammate #81 will be as his sits just a few miles down the road. There will be plenty of time to talk about him behind closed doors. Plenty of time to talk about any clues that might have been out there with respect to his character. Plenty of time to wonder how many of his teammates visited the so called “flop house” in Franklin, and for what reasons. And, of course, if you also checked out the Hernandez hide away, which in itself might prove troublesome for your concentration on the football field. I just want to add an observation about the relationship between coach and player, Bill Belichick and Hernandez. I suspect that when the head coach commented during his celebrated news conference that he was sad and disappointed and personally hurt by this tragedy, he was talking about personal issues with Hernandez. While we probably never will totally know what went into those feelings, I will just speculate that often a football coach, like our guy, and a player of great ability and sketchy character, will develop intense bonds that rival an idealized father/son connection. They may never admit it, but I'm sure there are exceptions to that code. I happen to think (and admit I could be wrong) that Hernandez and Belichick were on a track that would have forged such a relationship. Hell, I'm sad and disappointed, and I just watched the guy play. Final thought of the week: Will they give #81 to anyone else this year and continue to wipe our memory of the guy down the road in jail? Probably not this year, because when we see #81 in a Patriot uniform, our thoughts will not be of that unfortunate player who happens to be wearing it. Of course, they will be about the guy down the road.